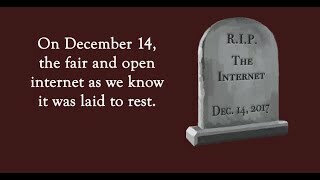 Public Knowledge has spent nearly ten years fighting for an open internet, but we expect that at the Federal Communications Commission's December 14th meeting a majority of Commissioners will vote to eliminate our strong net neutrality rules. The current FCC has made dominant industry interests a priority, putting startup and consumer interests at risk. As one of the world's largest centers for businesses and individuals financing, creating, and building the technology and inputs to the digital economy, Silicon Valley will be directly impacted by these new policies. 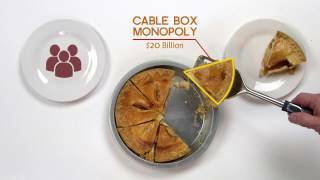 At the same time, AT&T is seeking to merge with Time Warner, and Sinclair Broadcasting with the Tribune Company -- potentially undermining video and broadband competition as net neutrality rules disappear. Public Knowledge is coming to California to discuss these important political shifts with engaged individuals, and to build new connections with individuals who want to learn more about standing up for an open internet. The event will encourage audience participation, and we hope you will join us with questions. Panelists will include: Gene Kimmelman (President, Public Knowledge), Evan Engstrom (Executive Director, Engine), Otessa Marie Ghadar (Professor, Director of DC Web Fest, Digital Content Creator & Advocate), Ernesto Falcon (Legislative Counsel, Electronic Frontier Foundation), and Brandi Collins (Senior Campaign Director; Media, Democracy, & Economic Justice, Color of Change).